Staking: The recommended units bet is indicated next to each bet in the above bet list. The base bet is 1 to 5 units (and is also a reflection of confidence, FAQ – Why do you talk and bet in units? > answers here). Note: FYI, with the introduction of Thursday night games it is now near impossible with the work and list of things that I chose to do to have all game previews written and finished until late in each week or early weekend. With the final team lists not announced until Tuesday afternoon, which I then re rate against (current performance, key ins and outs / final team lists and then look to handicap each up coming game then consider a range of form and match up factors towards final potential bets and written game previews. In short with team lists announced late Tuesday that then leaves two days to work through these tasks. I will focus the first preview notes at any game that has a recommended bet so that any key factors and reasoning is then known in advance, and then be working through each game there after in order of day and time (from Thursday onward). $3.25 to make the Top 8 / semi finals for a team yet to prove their credentials at this level into the pressure of a difficult run home looks way overs for mine. The Panthers have zero wins against any of the Top 6 sides and just the 1 win against a Top 8 opponent, that being their home win over the Eagles when given a decided leg up with a 14-4 penalty count. Their draw season to date has always been soft with 2 games each against bottom placed sides like Knights, Tigers and Warriors yet it hasn’t been till now (Rd 23) that they finally are positioned 8th? Into the weeks ahead they will now face Cowboys (7th Home); Raiders (just below them and still in contention, Away); Dragons (still in contention, Home) and then Eagles (at Brookvale) in the final round. All four opponents each have something to play for be it also a Top 8 spot or what final Top 8 position so their are no obvious gimmies to finish with. 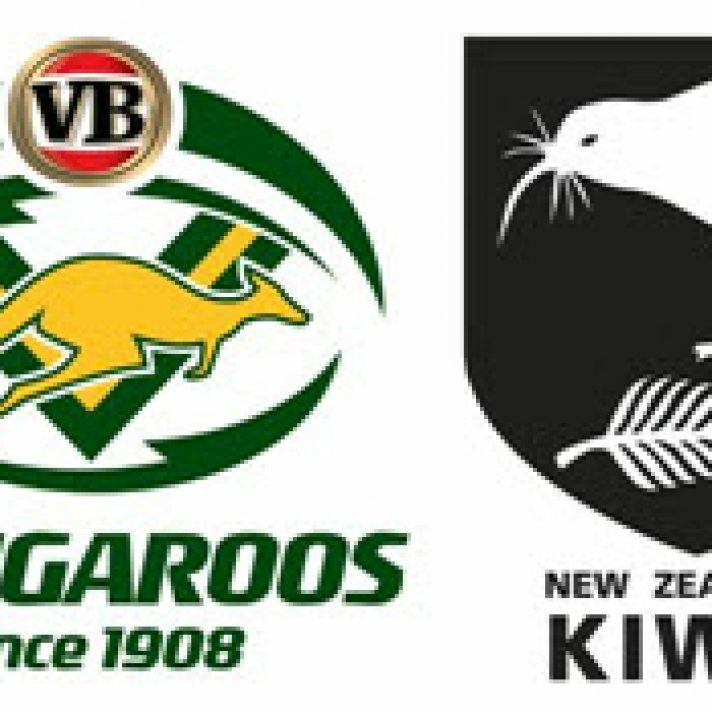 I have other major questions over them as well, they have shown this year they are not great under expectation and pressure; their final play and short kicking options continue to be very ordinary as is their final 30 mtrs attack set up and options (option-less) when against good defence, and each of these last 4 opponents can defend and do have something to play for. Another key factor that continues to haunt them is their handling and completions under pressure (last week 2nd half vs Tigers just 50%). The Rabbitohs and Bulldogs kick off Round 23 in a match that has no bearing on the Top 8 with both sides well and truly out of Finals contention, recording just 7 wins each from their 21 games. The Bulldogs have won 3 of the last 4 clashes with the Rabbitohs and will be looking to do the double for the 1st time since 2011. In 4 of the last 5 meetings the winning margin has been by 13+, while recent meetings have been low scoring affairs, with 7 of the last 10 match ups failing to breach 38. The Rabbitohs broke a 4 game losing streak last start with an unexpected win over the Dragons and will looking for B2B wins for only the 3rd time this season. They have won only 3 of 9 at ANZ Stadium in 2017, while they have a 4-3 record against their bottom 8 companions. Souths have moved up 3 places after last week’s win to be 11th, with an attack that ranks 12th, while they rate 11th defensively. The Rabbitohs are 10-10 ATS and have failed to cover in 5 of their last 6 when laying a start of 4.5 or less, while they have failed to cover in 4 of their last 5 against the Bulldogs. In total match points they are 11-9 in favour of the Under, but 4 of their last 6 have topped 50, while they have had Overs results in 6 of their last 8 at ANZ Stadium as a starting favourite. Souths have won 3 of 4 with a half time lead but have lost 12 of 15 when trailing at the break and only once in their last 10 have they led at half time. Alex Johnston has scored at least once in his last 5 games at ANZ Stadium, bagging a total of 12 tries in those 5 games. The Bulldogs have lost 3 straight and 9 of their last 11, including 5 of their last 6 at ANZ Stadium, while they have lost 8 of their last 9 when starting as an underdog. They remain in 13th spot, with a ranking of 9th defensively, while they still rate as the worst attacking team in the NRL. They are 11-9 ATS and have covered in only 2 of their last 8 with a start of 4.5 points or less, while they have covered in only 1 of their last 5 at ANZ Stadium from the same position. 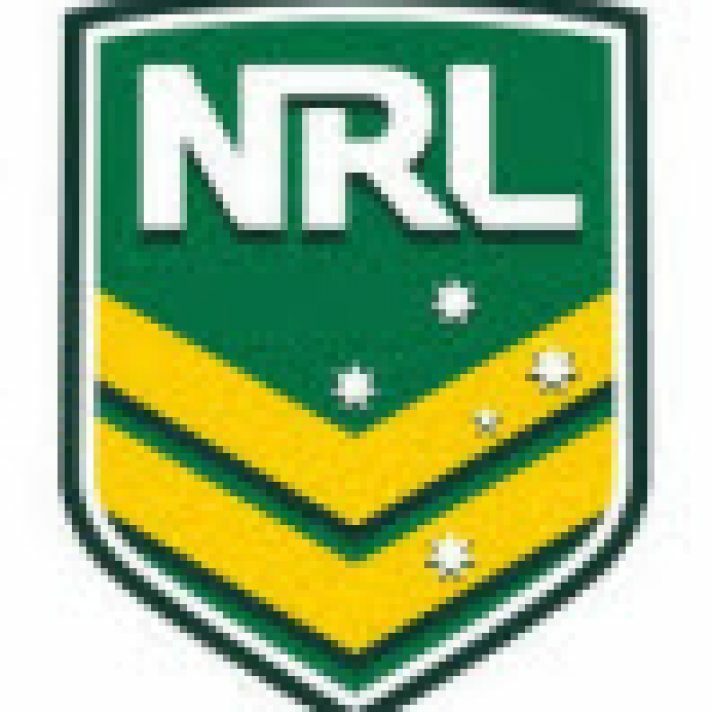 They continue to be the Number 1 Unders side in the NRL, with a 16-4 record, including 8 of their last 9, while since 2014 the Dogs are 14-4 Under at ANZ Stadium as an outsider. The Dogs have trailed at half time on 16 occasions, losing 11 of those, while they have won 2 of 3 with a half time lead. Both the Rabbitohs and Bulldogs have struggled for 1st half points and rank 15th and 16th respectively, with Souths averaging 8, while the Dogs average 4.2 and only once all season have Canterbury gone to the break with more than 8 on the board. Matches with Gavin Badger in charge are 22-14 Under over the last 2 seasons including 8 of his last 9. Not the most exciting game of the season for a single game prime time evening with 7 wins each from 21 games, both conceding 2o to 22 pts per week, but the key difference is in attack where the Rabbits average 20 pts a week the Bulldogs just 14. The dry track and possible desperation likely to help the Bulldogs but they are hard to like having lost 9 of their last 11, under consistent focus and looking well short on confidence. They only plus here for them is that they do drop in grade back to something similar to their own offerings against an opponent sitting low on the table and also off a break through win last week. Clearly their attack is a massive issue that then puts further pressure on their confidence and defence, they have had more combinations at 9, 7 and 6 then we have had hot dinners through the last 6 weeks while Hasler desperately looks to find something that works. The wet didn’t suit them at all last week, but they did get Graham back and he should benefit from that, and he and their clunky attack should be better with firmer footing and an opponent who is prone to leaking soft tries. The Rabbits are also hard to be with, but maybe McGuire has finally decided that Cook at #9 gives them some much needed speed and skill out of dummy half that can set their attack up and rolling. They actually should have been well in front last week by the 30 minute mark for mine, but conceded soft yards and tries and the game lead well into the second half and in all reality should have been put to the sword by the Dragons. Two late tries in the final 8 minutes then won them the game from nowhere, but they might well take some uplift and confidence from it. If they are positive with the ball and follow Cook and Cody Walker’s lead they do have some tries in them, but they can be equally rubbish for periods of play. Ordinary game, I went with the Rabbits on the back of potentially having some points in them but two teams hard to like. The obvious play is the under total points as all the key stats line up in this direction, but so did similar stats and pointers for the Dragons and Rabbits game last week including a dam ground yet both decided defence wasn’t an option for the evening, I have such little confidence in trusting either of these two on a drier surface, into the final weeks of the season with nothing to play for is their the attitude to commit to some quality defence for 80 minutes right? I’m happy to leave well alone. The only match of the Round featuring 2 last start winners sees the Eels hosting the Knights from ANZ Stadium. It’s the 1st time the 2 sides have met at Homebush since the 2001 Grand Final, with the Knights running out 30- 24 winners that night after leading 24-0 at half time. The Knights had also won 7 straight between 2010 and 2014, before the Eels recorded B2B wins in the 2 most recent encounters and will be looking to make it 3 straight for the 1st time since 2005. Recent meetings have been closely fought contests, with 7 of the last 9 clashes decided by a margin of 1-12, while in 6 of the previous 7 encounters, the 1st try of the match has been scored prior to the 7th minute. The Eels look to be charging to September, with 6 consecutive wins and now have their sights set on a Top 4 finish. They have won 7 of their last 8 against sides in the bottom half of the ladder and remain unbeaten in their last 7 games at ANZ Stadium, while they have won 10 of their last 11 at the ground as a starting favourite. Parramatta are now 5th , with an attack that ranks 11th, while they rank 6th in defence. They are 11-9 ATS and start as a double digit favourite for only the 3rd time in 4 seasons and have failed to cover in the previous 2, while they have an 8-3 cover record at ANZ Stadium since 2015 as a favourite. In total match points they are 13-7 Under, including 6 of their last 7, while they have an 18-6 Under record at ANZ Stadium since 2014, including 8 of 11 in 2017. The Eels remain unbeaten this season with a half time lead, winning 11 from 11, while they have lost 5 from 7 when trailing at the break. The Knights will also be looking for some history of their own as they aim for 3 consecutive victories for the 1st time in 64 matches. They are on the road though after 2 home wins and they have not recorded an away win in 2 years, losing their last 23 straight. Newcastle is also yet to defeat a Top 8 opponent, losing 9 from 9, conceding an average of more than 28 PPG. Despite recording B2B wins they remain in last place both on the ladder proper and in defence, while they rank 14th in attack. The Knights are 10-10 ATS and since 2014 have a 6-9 cover record as a double digit road outsider, but have lost all 15 of those matches. In total match points they are 12-8 in favour of the Unders, including 5 of their last 6, while 6 of their last 7 night games have also finished Unders. The Eels have now won 6 straight and are climbing the ladder into the coming finals series and should be winning this with some comfort, but I don’t want to get interested in playing such a long line either way. The Eels have been “up” for a period of weeks now, notably their quality win over the Broncos two weeks ago and with this winning run and then a build up in a few weeks time with their return contest with the Broncs in Brisbane and then a finals run I’m sure Coach Arthur will be happy to relax things a little and taper their run. The Knights come off a rare streak of two wins, they have been very positive and will take confidence out of this, maintain a stable playing squad but face a far more physical side than they have been playing, and now back on the road. Eels win, a 16 point handicap is generous, I expect they cover it but no interest for me. Top 4 clash between the Broncos and Sharks at Suncorp Stadium closes out Friday Night Football. The Sharks have won 4 of the last 6 encounters with the Broncos and they have also won the previous 3 meetings contested at Suncorp Stadium, making it 7 wins for the away team from the last 8 match ups. Recent meetings have been closely fought contests, with the last 5 decided by single figures, while 3 of the last 4 encounters have tallied 44 or more. After a demolition job on the Titans last start the Broncos return to Suncorp Stadium where they have won 8 of their last 9 and 12 of their last 13 as a starting favourite. They have won 5 of their last 7 but their last 3 losses have all been against a Top 8 opponent. Brisbane moved back into 3rd on the ladder, while their 54 point haul against the Titans now has them ranked 1st in attack, while they have moved up to 3rd in defence. The Broncos are 11-9 ATS and have covered in 4 of their last 5 at Suncorp as a favourite, while since 2014 they have a 19-10 cover record at the ground when laying more than a converted try advantage. In total match points they are 13-7 Over, with a 7-2 Over record at home, while their last 7 have all topped 42. The Broncos have won 8 of 11 with a half time lead, but has only won 4 of 8 when trailing at half time. Brisbane winger Corey Oates scored a double last week in his return match from injury and he has also scored in his last 3 matches against the Sharks. Cronulla may be looking forward to a road game after yet another home loss, while they have suffered just the 1 defeat away from home this season, winning 8 of 9 and remain as 1 of only 2 sides yet to suffer B2B defeats in 2017. They have a 5-3 record against the Top 8, with 2 of the 3 losses coming from 2 of their 3 most recent matches, but they haven’t played a Top 8 opponent for 6 weeks. They have a 9-7 win record since 2014 as an interstate underdog, with an 11-5 cover record. Last week’s loss saw Cronulla drop from 3rd to 4th, while they rank 9th in attack and still rank 2nd in defence. The Sharks are 8-12 ATS, but have been positive on the road, producing a 7-2 cover record, while they have covered in 9 of their last 10 as a road underdog. They are 14-6 Under in total match points, including 8 of their last 9 on the road, while they are 8-4 Under away from home over the last 2 seasons as an outsider. Cronulla has won 7 of 8 with a half time lead, but have been a 50/50 proposition when trailing at the break, producing a 6-6 result. Home faves are 7-23 ATS under Ben Cummins, with a 19-11 win loss record and a 19-11 Under record. Two top 4 sides who have plenty of ill feeling between them face up in a prime time Friday night clash, this should be a cracker! 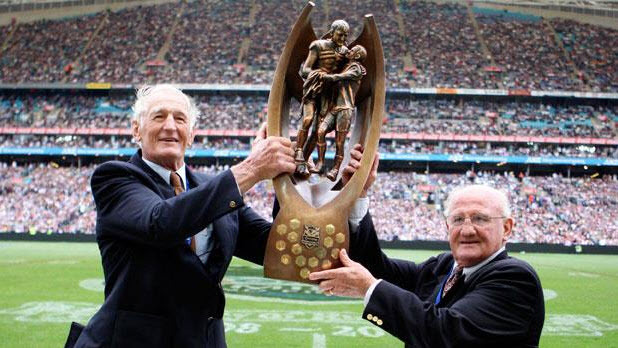 Also two key milestone games here, #600 for Wayne Bennett as Coach of the Broncos, #300 NRL games for Paul Gallen. The Broncos come off an interesting form line and recent form journey, off a resounding 50 point win last week over the Titans but given the Titans recent rubbish form and the fact that the Broncos have had such a long term hold over them that result really means little and somewhat like kissing your sister! If we go back a week prior they were well an truly touched up by a physical Eels side in Sydney and importantly that loss was their 3rd consecutive loss against Top 8 opponents through recent months (Eels, Storm, Roosters). What has been highlighted in these 3 defeats, most notably for mine the last 2 was the Broncos struggle with physical teams that look to work them over, take hold of the middle, limit their yardage and room to play and force errors – all of which at their best the Sharks will bring to this contest in spades. Clearly McCullough is a key out and their record with out him is poor and we’ll now see a far more stringent test of the Thaiday / Hunt #9 experiment up against some quality defence. Bennett tho is a master at playing to his strengths and I’d suggest he is looking to play “small and fast” once some of the sting is out of the game looking to use the speed, step and skill of Hunt, Nikorima and Milford in behind the Sharks big men and or on their edges, in particular to the Broncos right side looking to open any opportunity up with the likes of Boyd and Roberts to support and finish. While the Sharks have had some what a roller coaster ride this season with the inconsistent quality of what they have put on the park each week they have many positive ticks here. As the current Premiers they have already climbed the mountain and so the weekly hunger doesn’t burn as strongly week to week to accomplish the final master goal as it did last year, but that doesn’t diminish the fact that when right and everyone is on the same page they can put in a high quality offering (Storm rd6, Roosters rd17). They are also the type of side who can certainly lift off a good poke in the eye and its been a nice week of this with firstly their home loss last weekend (Raiders) and the spray and work over they will have had since from Flanagan, and then the media spat through recent days over Jack Bird. For mine they will be up and ready to really rip in here. They bring a physical, grunt and muscle game to this contest that can and will test the Broncos and they have now won 4 of the last 6 times they have met including winning the last 3 straight in Brisbane. They have also been super on the road this season, winning 8 of their last 9 away games, and while some of their week to week form has been patchy they are yet to lose consecutive games this season! They also get Maloney back, a significant key in for them. The Broncos are very good at home winning 8 of their last 9 but the Sharks its clearly not a disadvantage to the Sharks with them winning the last 3 here and their strong road record. The Sharks best is tough, tight and physical and I expect that’s an advantage here and I’m expecting that they will really want to work the middle 3rd of the park over and over. The last 5 contests between these two have each been tight close games decided by 5 points or less, and the Sharks also have a very good record covering the line start when interstate (67% of last 21 interstate games), even better covering the line start when interstate off a last start loss (78%). I like the Sharks here, this looks the right week, the right game circumstance, a big note game and the right opponent – I think they can win straight up. Given all of the above I marked the handicap tight at 1.5, the +6.5 position for the Sharks is how I want to play. Super Saturday gets underway with 2 out of form teams when the Dragons host the Titans at Kogorah in what shapes as a lack luster affair. Both sides have just the 1 win to their name over the last month as the Dragons cling on for a Finals berth, while the Titans Finals aspirations ended weeks ago. Gold Coast has won 3 of the previous 4 meetings with the Dragons, while they have also won 3 of the 4 encounters contested at Jubilee Oval. In 6 of the last 8 clashes the winning margin has been by 10 points or less, while 6 of the last 8 have failed to breach 40. The Dragons have opened the scoring in 8 of the last 10, while the Titans have scored the last try in 8 of the last 10. The Dragons have lost 6 of their last 8 which has seen them tumble down the ladder and they now find themselves out of the Top 8 for the 1st time this season. They return to Jubilee Oval for the final time in 2017 where their record is positive, winning 9 of their last 11, while they have won 8 of their last 9 at the ground as a favourite. They have also won 10 of their last 11 day games at their suburban grounds. They have lost their last 4 and 5 of their last 6 against sides in the bottom half of the ladder, but only 1 of those was home loss, which was against the Rabbitohs last Round at the SCG. As mentioned, the Dragons are now 9th, with an attack that ranks 5th, while they rank 7th in defence and have conceded at least 18 points in their last 7 straight. They are 9- 11 ATS and have failed to cover in 8 of their last 9, while they are yet to cover in 2017 when laying more than 6 points (0-6) and have covered in only 1 of their last 4 against the Titans. In total match points they are 11-9 Under, but are 9-2 Over in day time matches at their suburban grounds since 2014. The Dragons have won 9 of 14 with a half time lead, but have lost 5 of 6 when trailing at the break. Kurt Mann has been both the Dragons 1st and last try scorer in the previous 2 matches against the Titans. The Titans are coming off a 54-0 trashing against the Broncos in what was the biggest ever losing margin by any Gold Coast based team. That was the Titans 3rd straight defeat and they have conceded 104 points and scored just 20 of their own during that time. They have lost 6 of 9 on the road this season, while they have a 3-5 record against their bottom 8 counterparts. They are sitting in 14th place on the ladder, with an attack that ranks 10th, while they now rank 2nd last in defence, conceding just 2 points fewer than the Knights. The Titans are 9-11 ATS and have failed to cover in 3 of their last 4 on the road, but they have covered in 10 of their last 12 as an interstate outsider. Gold Coast is 14-6 Over in total match points, with a 6-3 Over record on the road, while 11 of their last 15 as an interstate underdog have also finished Overs. The Titans have won 3 of 7 with a half time lead, while they have overcome a half time deficit in only 3 of 10. Big home faves are undefeated in their last 8 matches with Ashley Klein at the helm. Two teams in ordinary form and confidence, I thought the home track advantage of Kogarah looked to be the difference. Dragons have now thrown away their last two games (losses to Knights and Rabbits), they were terrible for the opening 20 minutes last week, got themselves back in the game, in front and then threw it all away in the final 8 or so minutes. They are also carrying some key player outs, or some with injury. Titans have been ordinary for 4 to 5 weeks, then rubbish for their last two with obvious questions over unity and attitude copping two pathetic losses at their last two leaking a total 80 points. Defence has been a long time issue for them, 26 pts a week into Rd 23 is crook. Tipping Dragons at home, surely they still have something to play for (Top 8). It’s 1st versus 2nd in a top of the table clash, when the Melbourne Storm play hosts to the Sydney Roosters from AAMI Park. The Storm have won 3 of the last 4 encounters with the Tri-Colours and 4 of the previous 5 clashes in Melbourne, while the Roosters will be looking for both B2B wins over the Storm and a win at AAMI Park for the 1 st time since 2014. Recent meetings have been low scoring affairs, with 5 of the last 7 clashes totaling 38 or less, while 8 of the last 9 meetings in Melbourne have had a margin result of 13+. The 1st points of the match have proven crucial, with the team to score the opening points going on to win 13 of the last 14 match ups. A win for Melbourne will all but seal the Minor Premiership as they continue their march to the Finals. They have been the bench mark all season and will be looking to dispose of yet another Top 8 contender for the 3rd week in a row after big wins against the Sea Eagles and Cowboys. They have won 16 of their last 20 at AAMI Park, including 9 of their last 10 as a home favourite, while they have an 8-3 record against the current Top 8 sides. They have scored 20 points or more in 6 of their last 7, while they have conceded a combined total of just 28 points from their last 3. They have held top spot on the ladder for 17 weeks, the last 15 consecutively and continue to have the best defence and differential in the NRL, while they have inexcusably slipped to 2nd in the attack rankings. The Storm is 11-9 ATS and has covered in 5 of their last 6 against the Roosters and while they have won their last 10 at AAMI Park when laying more than a converted try advantage, they are 4-6 ATS from that position, while their long term cover record at home when laying more than 6 reads 11-16 dating back to 2014. In total match points Melbourne is 12-8 Under and have had Unders results in 5 of their last 6 at home as a big favourite. Suliasa Vunivalu has scored 4 tries in his last 3 games against the Roosters, while Josh Addo-Carr grabbed a double in his only meeting with the Roosters in Storm colours. The Roosters are on the road for the 2 nd consecutive week after an inept performance against the Sea Eagles, where they conceded 32 unanswered points after leading 18-4. They have a 6-4 road record in 2017, while they have won only 2 of their last 12 played interstate. They have a 5-4 record against their Top 8 counterparts, but only 1 of those 5 wins have been as the away team and that was way back in Round 3 against the Panthers. Despite last week’s performance the Roosters remain in 2nd spot, with an attack that ranks 6th, while they rank 5th in defence. The Roosters are 9-11 ATS and have failed to cover in 4 of their last 5 away games, while they have also failed to cover in their last 4 played interstate. In total match points they are 11-9 in favour of the Unders, but their last 4 on the road have all topped 40, while they are 12-7 Over as a road outsider over the last 4 seasons. Big home faves have an 11-1 win record with an 8-4 record ATS under Gerard Sutton over the last 2 seasons. Should be an excellent clash with the table top two clash. Storm still without Munster and Harris, Roosters get key important ins with Friend and Cordner. Hard to know what to make of Roosters last week, I am somewhat still gobsmacked that with an 18-4 lead, playing the left edge the right way they were to then compound and leak 32 points. The problem with them through out this year has been these inconsistent offerings across 80 minutes, as their best can be very good and has clearly won them many games and got them positioned 2nd. Clearly this is a nice test, away leg into tough venue against the benchmark. There must be some risk with both Friend and Cordner’s match fitness being back off a break. Another obvious issue from last week was how Barrett chose to play them up through the middle taking on their big forwards with quick darts out of dummy half in behind their markers, and or then sending runners into the same space (notably Turbo Tom). The Roosters big boys were exposed as being lazy and slow, something Bellamy and Smith will have also had a key look at. Storm clearly the benchmark for this competition. I made the mistake in taking them on last week in Townsville, they had some luck with a few key things and injuries going their way, but again offered little, defended with some smarts and played to their key strengths of discipline and control. They have a near 90% longer term record at home and I’d suggest Bellamy is looking for a key win / peak performance here for confidence and mental dominance over a top of the table opponent into / prior September, then likely look to rest a few players over the next few weeks, so I’m sure they are up for this and have been handicapped accordingly. I like the Storm to win, happy to stay away from a long line when we have the top 2 teams on the table in against each other. The 3rd and final Top 8 clash of the Round has the Cowboys travelling to Pepper Stadium to take on the Panthers. The Cowboys have dominated the Panthers in recent seasons, winning 7 of the previous 8 encounters, including 3 of the last 4 meetings at Pepper Stadium. In 13 of the last 16 meetings the winning margin has been by 1-12 points, while 10 of the last 12 match ups have topped 40. The team to score the 1st try of the match has lost 10 of the last 12 meetings, while the 1st try has been scored by the 7th minute in 6 of the last 7 clashes. The Panthers have won 5 in a row and are unbeaten at home since Round 10, winning 6 straight, while they have also won their last 6 at home when favoured by more than a converted try. They will need to address a poor record against Top 8 sides, where they have recorded just 1 win from 7 matches. Only 1 side has scored more 2nd half points than the Panthers who on average have scored more than twice as many points as their opponent in the 2nd half since Round 8. For the 1st time since Round 15 and for only the 5th time this season, the Panthers are in the Top 8. They currently rank 7th in attack and 8th in defence, giving them a 51 point differential that ranks 7th. They are 9-11 ATS and have covered in 4 of their last 5 at home, while they have also covered in 4 of their last 5 at home when laying more than 6 points. In total match points they are 12-8 Under, including their last 4 at Pepper Stadium, while they are 9-4 Under as a big home favourite since 2014. They have won 7 of 8 with a half time lead, but have lost 7 of 9 when trailing at the break, while they have lost 3 of their last 4 against the Cowboys when leading at half time. Dallin Watene-Zelezniak has scored 5 tries in his last 5 games for the Panthers and scored a double against the Cowboys when they last met at Pepper Stadium. The Cowboys have suffered B2B losses for only the 2nd time this season, going to down the Top 2 sides in the comp and face a Top 8 opponent for the 3rd consecutive week. They have a 6-4 record on the road this season, while they are 3-6 against the current Top 8. North Queensland are currently 6th, with an attack that ranks 8th, while they rank 6 th in defence and they have conceded 48 points from their last 2, while they have failed to score a 2nd half point in both of those matches. They are 14-6 ATS and have covered in 9 of their last 10 on the road, including 7 of 8 as an underdog, while they have covered in 6 of their last 8 away from home with more than a converted try advantage. In total match points they are they are 14-6 Under, including 5 of their last 6, while they have also had Unders results in 12 of their last 17 as an interstate outsider. The Cowboys have won 7 of 10 with a half time lead, while they have a 4-5 record when trailing at the break. Right now, based on what we have seen and that evidence I’m still happy to risk the Panthers. Zero wins vs top 6 sides, 1 win vs a top 8 side, and very soft draw yet very few convincing quality efforts or wins and they have been found out when under any sort of pressure. Their final play / 5th kick options, and short kick options have consistently been ordinary, as is their set up and execution with in attacking position into the final 20 mtr red zone. For mine, once again they got away with a late win with little depth last week when at 16-14 and in some trouble, off the back of near 50% 2nd half completes – it’s just not form that reads strongly and I think this game and into these next few weeks we will see a real test. The Cowboys are no rolled gold good thing, they have some further injury outs but at least do have some reasonable depth but they do come off some strong (yet losing) form with tehir last two games up against the top of the table Storm and Roosters. Even when without Thurston they have been a top 6 side for most of this season and while they have this very tough run home and come off these two key losses I have they rated deep into this contest – and a team who’s effort and attitude I have far more confidence in trusting. They also carry a very good record over the Panthers, winning 7 of the last 8 and 3 of the last 4 at this ground. The Raiders travel to New Zealand to take on the Warriors in a must win game for Canberra if they are to keep their Finals dream alive. The Warriors had recorded 5 consecutive wins over the Raiders before Canberra hit back to record 3 straight victories of their own. The last 6 meetings in New Zealand have all been decided by a margin of 13+, with 4 of those 6 matches surpassing 50, while the Warriors have opened the scoring in 7 of the last 9 on home turf. The Warriors return home after their worst loss of the season, going down to Wooden Spooners Newcastle, to make it 5 losses on the trot and they look likely to finish their season just as they did in 2015 after the loss of Shaun Johnson with no wins without his services. They have lost their last 2 at Mt Smart Stadium, but had won 5 straight prior, while they have a 4-5 record against sides currently sitting in the bottom half of the ladder. They are currently 12th and haven’t sat higher than 10th since Round 1, while they rank 13th in both attack and defence. The Warriors are 7-13 ATS and have failed to cover in their last 4 straight, while they have covered in only 2 of their last 8 as a home underdog. In total match points they are 12-8 Under and have had the same result in 10 of their last 14 as an outsider. They have won 6 of 8 with a half time lead, but have lost 10 of 11 when trailing at the break and they haven’t had a half time lead since Round 16. The Raiders have it all to play for as they look to go on a late season run. They have won 3 of their last 4, including B2B away wins where they posted scores of 30 plus in consecutive games for the 1st time this season. They have a 5-2 record against the bottom 8 sides, while they have won 5 of their last 8 as a road favourite. Canberra remains in 10th spot and are 2 wins outside the Top 8. They rank 4th in attack and 10th in defence, giving them a 53 point differential that ranks 6th. The Raiders are 12-8 ATS and have covered in 14 of their last 18 away games, while they have covered in 5 of their last 8 as a road favourite. They are split 10-10 in total match points, but have had Overs results in 5 of their last 7, including their last 3 on the road. Canberra has won 6 of 9 with a half time lead and has lost 6 of 8 when trailing at the break. Joey Leilua has scored at least once in his last 3 matches against the Warriors. Warriors have been pathetic, now lost their last 5 including last week hopeless offering up against the Knights. Coach Kearney is said to be looking to shake up his team, and attitude, as well he should, their attitude is limp at best and they now leak a consistent 26 to 30 points each week. The Raiders come off two positive wins, last weeks effort the best for mine for many many months, their #9 now calling the shots, their 3 big men in the middle dominating all of which then providing a nice platform and some room for them to play. Slowly but surely tehir #7 and 6 look to be finding some confidence. I have the Raiders marked a an approx 10 point advantage, but they do face a long distance travel leg. I expect they win, and that looks the best way to play them. The Tigers host the Sea Eagles from Leichardt Oval to close out Round 23. Manly has won 6 of the previous 8 meetings, while the Tigers have won 5 of the previous 6 encounters played at Leichardt Oval. In 5 of the last 7 matchups the winning margin has been by 13+, while there have been plenty of points on offer in recent times, with the last 6 all topping 44 and in those 6 matches the 1st try has been scored by the 7th minute. The Tigers have lost 3 of their last 4 and 10 of their last 12 to be 2nd last, while this will be 1st of 3 games in the next 3 weeks where they play a side that has been entrenched in the Top 8. They have lost 4 of their last 5 at Leichardt Oval and are yet to register a win at the ground this season, while they have lost 10 of their previous 11 matches against a Top 8 opponent. Their attack and differential are the 2nd worst in the NRL, while their defence ranks 3rd last. The Tigers are 10-10 ATS and while they have covered in 4 of their last 5, they have covered in only 2 of their last 11 games played at home. They are 14-6 Under in total match points, including their last 6 straight, while 4 of their last 5 at Leichardt as an underdog have also finished Unders. The Tigers have won 5 of 10 with a half time lead but remain as the only side yet to overcome a half time deficit, losing 10 from 10. They have conceded the 1st try of the match in 3 of their last 4 and 7 of their last 8 against a Top 8 opponent, while Manly has scored the opening try in 5 of their last 7 against the Tigers. The Sea Eagles returned to the winners list last week with an emphatic victory over the Roosters. They have won 7 of their last 8 against sides currently sitting in the bottom of the 8 and will be looking to end a 3 game losing run on the road after winning their 1st 6 away from home. Manly are currently 7th, with an attack that ranks 3rd, while they rank 11th in defence, giving them a 41 point differential that ranks 9th. They are 10-10 ATS and have covered in only 1 of their last 5 and 2 of their last 11 as a favourite. In total match points they are 11-9 in favour of the Unders, but 6 of their last 7 have tallied 44 or more, while 5 of the last 6 clashes with the Tigers have finished Overs. They have won 7 of 8 with a half time lead, but have lost 7 of 11 when trailing at the break and only once in their last 8 have they led at half time. Home underdogs have won only 2 of the last 13 matches under Grant Atkins with 4-9 record ATS. Published on August 10, 2017 in NRL. Published on 25th June 2015. Published on 5th May 2016.